I was in Cambridge for the day and was really excited to visit my favorite places. Here’s a rundown of my day going through some of the best that Cambridge has to offer. 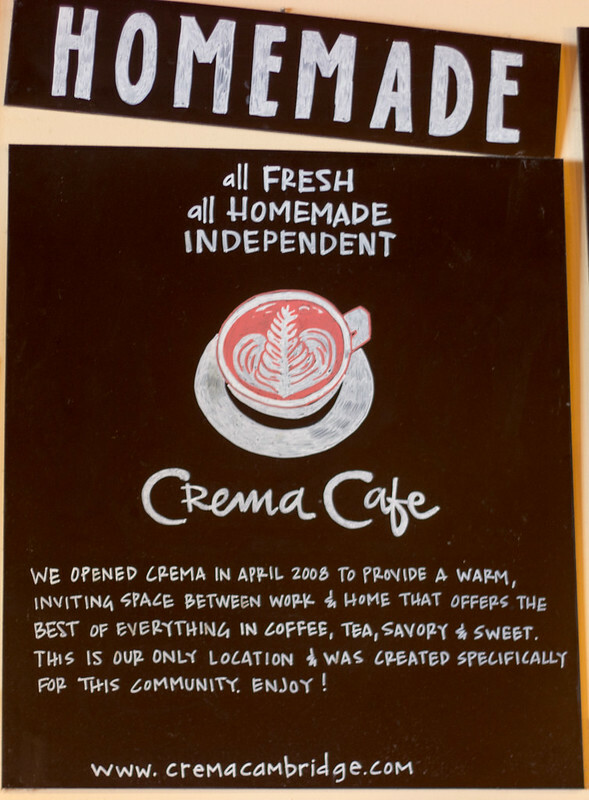 I had breakfast at Crema Cafe (27 Brattle St). I love the breakfast sandwiches here and I ordered a croissant with ham, egg, and cheese. The croissants are very flaky and crispy and their ginger steamer is the perfect drink for a cold day. It’s made with ginger, lemon, and honey and completely warmed me up. I was a bit busy during the morning, but if I wasn’t, I definitely would have gone to the Harvard Art Museums (32 Quincy St), most of which were closed for my entire time in graduate school. The building is all glass and open-space and you can request to see special art objects through the Art Study Center. The collection isn’t huge but it’s lovely, uncrowded space to spend a morning. If you want to sketch, they provide pencils at the front desk. 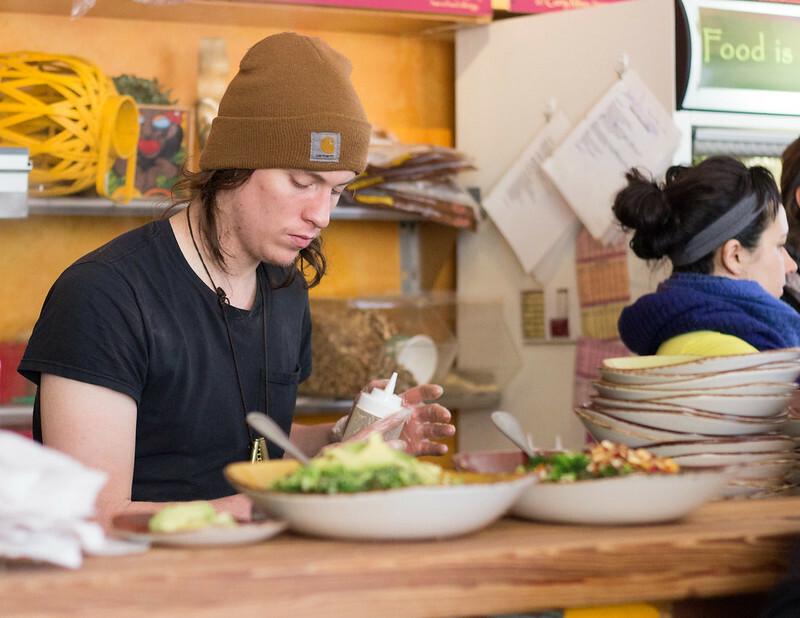 Lunch was at Life Alive (765 Massachusetts Ave), possibly my favorite place in all of Cambridge. I love the alchemist with its ginger-y dressing and its fresh kale, corn, carrots, sprouted legumes, and tofu. I’m not even vegetarian but everything I’ve gotten here is good. I would suggest calling in your order so you don’t have to wait in the massive line that develops around mealtimes. So the next thing I did is technically not in Cambridge but it’s not far by the Red Line. 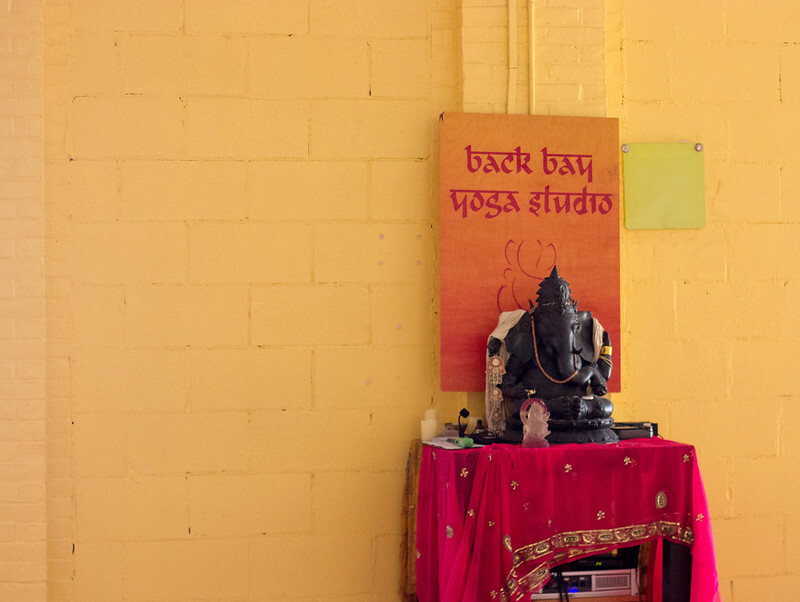 Back Bay Yoga (364 Boylston St, Boston) is one of my favorite places to do yoga. I especially like the Hip Hop Yoga classes where you do yoga to hip hop music. Their midday classes are usually drop-in or community ($5 or $10) classes and you can rent a mat for $3 (they are good quality Jade mats). So after yoga, I knew it would be a long time before dinner so I got a snack from Coast Cafe (233 River St), which makes pretty much the best fried chicken ever. It’s crispy and flavorful and comes with very corny cornbread. The reason that I knew dinner would be far away was because I was going to a 7:30pm showing of Father Comes Home from the Wars at the American Repertory Theatre (64 Brattle St). Amrep is awesome; they put on great shows and have tickets for $25 for every show. If these are sold out and you are a student of any kind, you can get $25 advance tickets or $15 day-of-show tickets. Many plays do a trial run here before going to Broadway. I saw The Glass Menagerie here before it went to Broadway. Father Comes Home from the Wars was wonderfully acted and extremely engaging. It’s the story of a slave fighting in the Civil War on the confederate side; you can read the NYT review here. It’s running until March 1st. I had a late dinner at Sarma (249 Pearl St). I love the small plates here; the pork belly bunuelo, hummus, and falafel are all creamy and fantastic. I also ordered the harissa bbq duck; the flavoring is fantastic. After the meal, I was definitely ready for a nap.